With a combination of high-friction and conventional chain types, the Topper Lift can incline and decline products at angles up to 60 degrees. How do we do it? 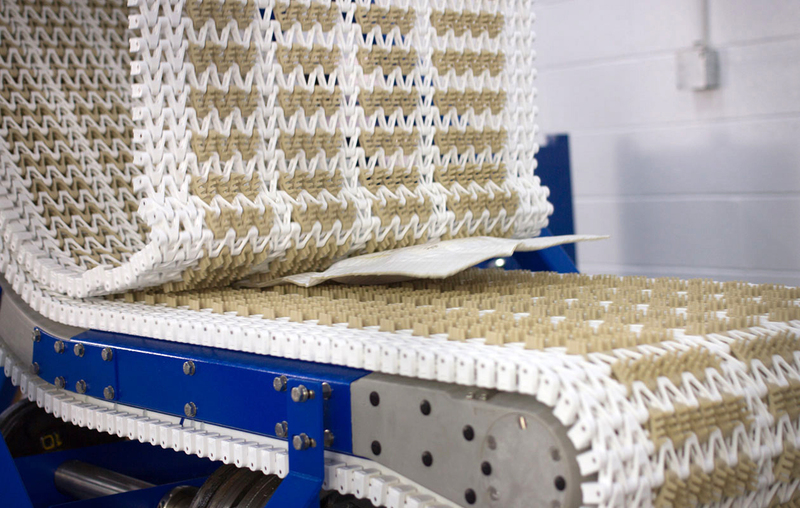 The upper chain drapes down and rides on the lower transport conveyor, acting as a moving top keeper and allowing a much steeper angle of incline or decline. 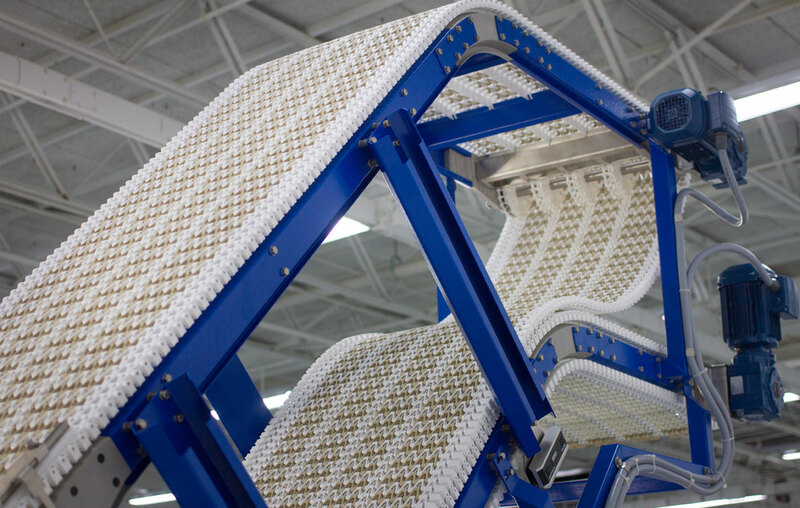 Your products can stay up-right, guided by the upper chain ensuring they do not tip over while ascending or descending levels on this lift conveyor. The Topper Lift is capable of handling both rigid and flexible products without the fear of breakage. 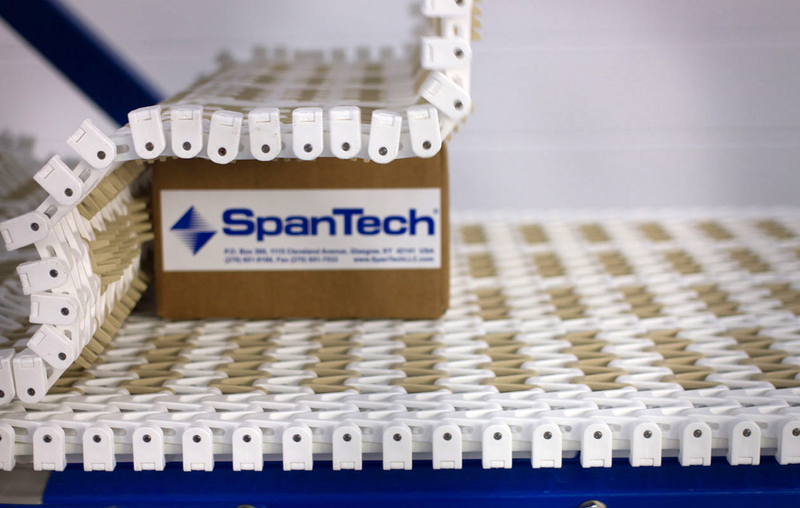 The completely customizable footprint of the Topper Lift can be configured to fit the needs of your space and products so start an estimate for yours today and be sure to browse all of the amazing conveyor system solutions available for changing elevation at Span Tech!